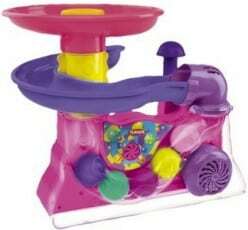 Target's Daily Deals: Save up to 48% on Graco HighChair/Booster, Air Hogs, Polly Pocket, Playskool & More! Target’s Daily Deals: Save up to 48% on Graco HighChair/Booster, Air Hogs, Polly Pocket, Playskool & More! 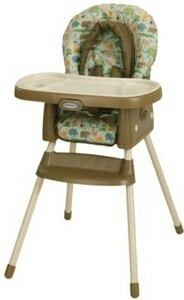 The Graco Simple Switch 2-in-1 HighChair & Booster :: was $80 :: save 38% :: NOW $49.99! 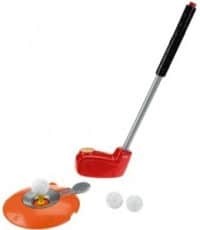 Fisher-Price Drop n Drive Golf Set :: was $14 :: save 36% :: NOW $8.99! Playskool Busy Ball Popper, Pink :: was $19.99 :: save 25% :: NOW $14.99! Polly Pocket Garden World Gift Set :: was $36.29 :: save 31% :: NOW $24.99! Air Hogs Moto Frenzy R/C Stunt Bike :: was $24.99 :: save 48% :: NOW $12.99! Shipping on any Target Daily Deal is FREE! 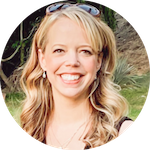 I love that busy ball popper!